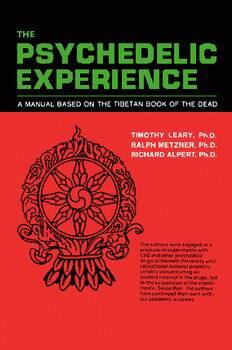 Today’s podcast features a talk that was given by Erik Davis in which he unravels the history of both the Tibetan Book of the Dead and its psychedelic sister, the Psychedelic Experience, that was written by Leary, Alpert, and Metzner during their infamous Harvard years. Erik Davis, who holds a Ph.D. from Rice University’s Gnosticism, Esotericism and Mysticism program, is a well known author and lecturer who has written books such as Techgnosis and Led Zeppelin IV. Posted in Books, Consciousness, Culture, Death, Erik Davis, Language, Myth, Psychedelics, Religion, Shamanism. My favorite episode yet Lorenzo. Thank you! Long time listener and I was saddened to hear your opinion of the AUMA proposition. With so many pro-cannabis people coming out against it, I fear it will fail yet again. I will however, listen to your reasoning on your next podcast. Flawed though it may be, at least we would not risk imprisonment for growing our own at home, which would satisfy me. I would hope people will at least see it as an incremental step. Now I see the problem! Your podcast is not available in Sweden 🙁 could you please make it? I am in Sweden, and after getting a new iPhone I can’t seem to find your podcast in store :/ am I doing something wrong? I really miss the podcast!